We already know, based on a post-mortem and a timeline, that the firm behind the branding had nothing to do with originally finding the bug. It just exploited and capitalised on it to spread FUD against Free software, never really noting the Microsoft connection and the mysterious timing. It was a huge marketing campaign of some kind. Months ago we wrote about some openssl flaws, but none made the press as much as this whole “Heartbleed” thing, which many journalists are finally saying was overblown. We are generally trying not to waste time by promoting distracting articles about this bug which had already been patched (by all major GNU/Linux distributors) before it was made public knowledge. Watch what the opportunists at Codenomicon are saying (the CEO): “I really believe that the name and the logo and the website helped fuel the community interest in this” (and spread lots of security FUD against GNU/Linux on the very same date that Window XP support ended). Following a report from Mac Otakara yesterday claiming the iPhone 6 will feature a curved glass display and an all-aluminum rear shell, French website Nowhereelse.fr [Google Translate] and designer Martin Hajek have partnered up to showcase renders visualizing such a device based off of the recent information. Notable computer security researcher Kristin Paget, who worked on Apple’s security team before leaving for Tesla in early 2014, has taken to her blog (via Ars Technica) to criticize Apple for fixing more than a dozen security flaws in iOS weeks after patching them in OS X. NOTHING surprises us when it comes to the FCC’s betrayal, at least not anymore. We wrote a great deal about Net Neutrality (dozens of times before) not because it relates to software but because as a site that drives around 100 GB of traffic per month we are very much affected by the issue and we should probably throw yet another opinion out there, despite the issue being covered very widely (which is good) to shed light on the seriousness of the matter. One of our readers sent us this link which helps show the role of corporate lobbying in all this. As Mike Masnick put it: “We’ve talked plenty about the big revolving door between government and big business lately, but there are still some moments that are purely insane that show just how broken the system is. On Wednesday, news broke that former FCC commissioner Meredith Attwell Baker has been named the new CEO of CTIA, the main lobbying organization for mobile phone operators. Baker is no stranger to questionable revolving door moves, seeing as just months after she voted to approve Comcast’s merger with NBC Universal, she took a top lobbying job with Comcast. Funny how that works. Nonsense. False promises and no hope. As one article put it, we now have “Net Discrimination” and it is being stamped into law. As another article put it, “FCC guts net neutrality to pave way to tiered internet” and there is similar analysis elsewhere. Well, as usual we have a deceiving headline from the Murdoch propaganda press (we highlighted this pattern before) and as one blog put it, “FCC Plots Murder of Blogs on Behalf of Billionaire Media Lords” (like Murdoch). The cable and media giants are not really liking it when other points of view are being sent across, especially some in video and audio (which is where traffic gets very expensive). It is clear that for financial reasons some shows will have to shut down as a result of the FCC’s (lobbyists’) latest moves, which were driven in part (as precursor) by Comcast and Netflix. They are banning competition by passing new laws, or at least suppressing competition. There is now a White House petition for Net Neutrality, but these petitions usually prove to be a waste of time; they might generate some press, but the White House is not genuinely interested in serving people, only corporations. There are still some weeks left for things to change, just like in Europe (where Net Neutrality is being defended and finalisation of such a decision is imminent). What big businesses and lobbyists seek here is protectionism. They are making sure that the Internet becomes useful only for surveillance and propaganda, as much of the rest is censored, made expensive, slowed down, and suppressed behind protocols that make the Web “Hollyweb”. 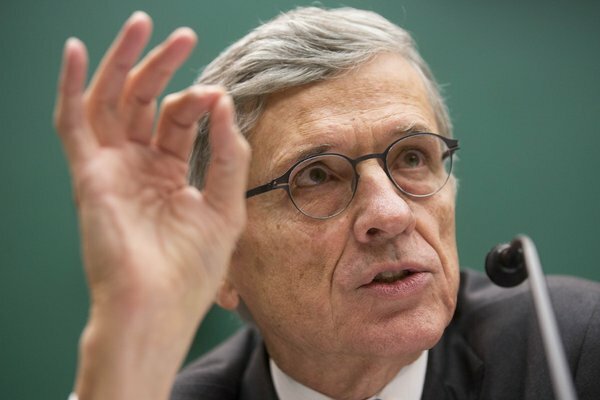 As we pointed out before, Tom Wheeler is more like a mole, never really committing to Net Neutrality. Some sites provided proof of it while continuing their coverage of the latest developments. They are starting with videos and later, once the presence is already there, expand to more areas and media types, driving small sites out of the Web. What we deal with here is erosion of Internet freedom and rights, promoting the big corporations and subverting equality of speech. It’s not much of a turnaround for those who have watched the FCC being taken over by lobbyists (and revolving doors actions, including from Microsoft). The FCC should be disbanded and a new body put in charge of these issues. The FCC is no longer what it’s supposed to be; it has been hijacked. It is a turning point in the fight against censorship and the fight for information on the Web. Costs are being used in this type of warfare; So shows like TechBytes will be disciminated against and sent more slowly (if at all) to listeners, unless the host pays additional, prohibitive costs. As the use of GNU/Linux grows and spreads, training has become more and more of a necessity if one wants to join the burgeoning ranks of administrators. Given this, it is not surprising that the Linux Professional Institute has added a new course for the rank beginner, a course called Linux Essentials. The LPI already has courses for three levels of certification; the new course is aimed at the newcomer. Due to Google being the creator of both Android and Chrome OS, they have begun to experiment with these operating systems, combining them to create unique features, like how Apple does with their iOS devices and Mac OS X line of computers. Previously, Muktware mentioned Google working on alternative methods for unlocking Chromebooks, but the Android Police discovered one such development in the works on Chromebooks running the Dev channel. (The Dev channel is Google’s early release channel, through which Chromebook users can get new features earlier but are unstable, so sometimes cause problems). China is one of the countries that have suffered the most when Microsoft decided to pull the plug on Windows XP. The Chinese government is now looking towards Linux to fill that gap, and it intends to use its resources to make that happen. IBM has made some exciting announcements on POWER-8 based systems building on the Open Server Innovation Model at the just-concluded Open Innovation Summit in San Francisco. A Linux developer at Intel has proposed a new CPU load metric for power-efficient scheduling by the Linux kernel. AMD’s R600 Gallium3D driver that supports the Radeon HD 2000 through HD 6000 series graphics cards received a number of bug-fixes on Thursday. Using the Catalyst 14.4 release candidate and the NVIDIA 337.12 beta driver as the latest AMD/NVIDIA Linux proprietary graphics drivers available at the time of testing, I compared my complete assortment of AMD Radeon Rx 200 series graphics cards against all available NVIDIA GeForce 700 series graphics cards to see how these latest-generation GPUs compare on the newest graphics drivers as of this month. Building upon earlier Ubuntu 14.04 LTS benchmarks and tests of Red Hat Enterprise Linux 7, here’s a nine-way Linux distribution comparison done from the same hardware. Kid3 is a powerful audio tag editor for KDE with support for formats like MP3, Ogg/Vorbis, FLAC, MPC, MP4/AAC, MP2, Speex, TrueAudio and WAV. Kid3 allows you to edit common tags over multiple files as well. Calibre is an ebook collection manager with support for many services, including Amazon, Android or Barnes & Noble. Calibre makes it easy to organize ebooks, as well as search various services for new ebooks. The latest version is 1.33 and brings several improvements, like a tool to check the spelling and a number of bug fixes. The libappstream library got some new API to query component data in different ways, and I also brought back support for Vala (so if you missed the Vapi file: It’s back now, although you have to manually enable this feature). Earlier this month Canonical released a new, long term support, version of its popular operating system (OS), Ubuntu. Nicknamed Trusty Tahr, Ubuntu 14.04 comes pre-installed with tons of great software, but even more is available through the handy Ubuntu Software Center which users will find in the applications launcher. Popular video game Minecraft is also available for install on Ubuntu 14.04. Users will need to launch the Terminal application to install the popular game, but a simple copy and paste can handle that. For you extreme Baseball fans (is baseball mostly American?) Out of the Park Baseball 15 has been released on Steam for Linux promising you the ability to manage your dream team. The Steam for Linux platform has received a few new games in the past week, and the top selling chart has somewhat changed, although some of the older games are still going strong. Portal, the first game in the series, released way back in 2007 for the Windows platform along with Half-Life 2, has managed to slip into the tenth position, mostly because of its 75% discount. Jagged Alliance 1: Gold Edition, a collection of games developed by Madlab Software and published by bitComposer Games, has been released on Steam for Linux. Jagged Alliance 1: Gold Edition includes Jagged Alliance and Jagged Alliance: Deadly Games, the original titles that sparked the entire Jagged Alliance franchise. Earlier this month we wrote about Epic Games “loving” Linux/SteamOS and that they’d be bringing the support to UE4 with their next update. That next update, Unreal Engine 4.1, is now available with preliminary native support for gaming on Linux and SteamOS. ETC2 is the lossy texture compression scheme developed by Ericsson that is royalty-free and is now mandated as part of the OpenGL ES 3.0 and OpenGL 4.3 specifications. For those unfamiliar with this alternative to S3TC, read ETC2 Texture Compression Looks Good For OpenGL. Till this point in time you should check your data on the KDE sprints page or register if you’ve not yet done so (or poke your team mates to register ;-). We need to fix a budget by then to start the fundraising campaign. Requests to unlock KWallet automatically on login (assuming the wallet password and user password are the same), like gnome-keyring can do, have been going on for years: in fact, bug reports requesting this feature are quite old. Recently, thanks to the efforts of Alex Fiestas, a PAM module, which interfaces KWallet to the system authentication methods, has been developed. In parallel, the necessary glue code has been also added to the various parts of the KDE workspace so that it could make use of it. Also GNOME Maps, which has debuted on GNOME 3.10, will be receive a bunch of interesting improvements. Among others, GNOME Maps 3.14 will come with some GUI improvements, support for points of interests (like cinema, restaurants, hotels, etc) and enhanced support for zooming. Also, the points of interests will use both the Facebook and Foursquare APIs, for a better interaction with Gnome Shell, while the users will be able to edit the OpenStreetMaps maps directly from the GNOME app. The Red Hat Summit is different than most other vendor shows in the sense that, although it naturally centers on the company and its particular vision for technology, it also places a large emphasis on the ecosystem. And that doesn’t just encompass customers and partners, but the upstream community projects for its solutions and outside strategic industry initiatives as well. James Whitehurst, the president and CEO of the Linux distributor, made a point of that in the opening keynote of the recently concluded event, focusing on two points in particular: how a large organization should go about embracing the open source model and, beyond that, effectively consuming free software. With Red Hat’s public release of version 7 Release Candidate, some folks are putting it through its paces. Phoronix has some benchmarks and preliminary remarks. Also, Jay Lyman looks further into the recent Red Hat CentOS cooperation agreement. In other news, a new beginners Linux course has emerged, Shuttleworth named the next Ubuntu, and a review of Puppy Arcade 11 is highlighted. Originally, Ubuntu was a great thing. Years ago I used a Unix like system for various things and got comfortable with what we now call the “command line.” Then I used DOS, and that was still a command line operating system (but with different commands) and that was pretty good for the late 20th century. Then Windows came out and I switched to that, and later used both Windows and Mac operating systems to do my work. Eventually, I wanted to get away from those proprietary operating systems and try out Linux, which by then was a Unix like system that had windowing capabilities but also a powerful command line interface. Ubuntu intends to throw off the shackles that come with supporting a Linux distribution release for five years, and conduct some spring cleaning in its next release due in October this year. So on Thursday 17 April when the patriotic amongst were preparing for independence day and the religious for the Good Friday mass-or Judgement night 2- the geek in me waited for official unveiling of the latest offering from Canonical. It came rather late in the night but it was worth the wait. After spending the entire Easter weekend dipping my connoisseur toes in Ubuntu 14.04 (Trusty Tahr) I can say to you my fellow countryman and those from beyond our borders- it is really time you chose Ubuntu. Now this is not one of those Year of the Linux Desktop brouhaha. The world’s most widely used Linux distro hit the ground running last week with the release of Ubuntu 14.04 (Trusty Tahr). This version looks to be the last LTS (Long Term Support) before the impending launches of Unity 8 and Mir. Unity 8′s hoping to unify the software between Ubuntu’s mobile interfaces with the desktop experience much the way Microsoft aimed to do with Windows 8 and recent iterations of Windows Phone. Mir, of course, is the new display server set to replace X in Ubuntu, much to the chagrin of the community and it’s Wayland proponents. If you’re new to Linux or the Ubuntu Unity interface, the overall performance and polish will be all that matters. If you’re still bothered by Unity’s look and feel, be sure to try one of the other Ubuntu desktops. The interface integration and the other desktop interfaces have a really smooth integration with Ubuntu’s execution. That will leave no doubt about why Ubuntu is a leading Linux distro. This is not an attack against the Mintcast podcast or the Luddites as I like listening to their podcasts and I listed both of them in my top 9 Linux podcasts article. I did feel it necessary to respond to their critique though as I felt many of the points weren’t valid or needed qualifying. As for the title of this post, that is definitely link bait. A title so vague that it draws people in. Cubuntu is the first third-party operating system based on Ubuntu 14.04 LTS released so far and also one of the few OSes that kept Unity for users. Most developers usually choose to remove the Unity desktop environment and focus on others, but the makers of Cubuntu left Unity in place and added a number of other desktop environments, like Cinnamon, GNOME Classic, LXDE, and OpenBox. Oregon-based APlus Mobile came up with the idea for the “MotherBone PiOne” while trying to add peripherals to the Linux-ready BeagleBone Black and Raspberry Pi Model B single board computers. Faced with the boards’ limitations relative to “real world expandability,” especially in regard to the BeagleBone Black’s power isolation issues, the company decided to develop a baseboard aimed at solving those problems for both hacker SBCs. In 2013, Huawei Device shipped 52 million smartphones, up 62.5% on year, 24.4 million fixed-line Internet-access terminal devices, down 2.4%, 44.5 million mobile broadband Internet-access devices, down 11%, and had 80 million subscribers of its cloud services at the end of the year. The small size, low price, adequate performance and an abundance of software applications has allowed Android/Linux on ARM smartphones to blow away all my expectations. When I upgraded an Android device the other day, I found that tethering completely stopped working. The updated CyanogenMod had inherited a new bug from Android, informing the carrier that I was tethering. The carrier, Vodafone Italy, had decided to make my life miserable by blocking that traffic. I had a closer look and managed to find a workaround. Last week, I explored some of the important issues raised by the discovery of a major flaw in the widely-used open source program OpenSSL, and how that might be addressed. Since then, a couple of things have happened. For as long as I can remember, Brendan Eich was the CTO of Mozilla, then he got appointed CEO and well – things happened and now he’s left the building. In the meantime, there wasn’t (AFAIK) a CTO at Mozilla, but that changes today. Andreas Gal starts as Mozilla’s new CTO today. So you might forgive Tom Wentworth if he was a little wary of taking up the role of chief marketing officer at Acquia. But the CMO says that when he received a message from a recruiter asking if he was interested in the position, he jumped at the chance. “I couldn’t have dialled back the number faster when I saw him asking about Acquia,” Wentworth says. Mondrian is an open-source data analysis tool that can be used for analyzing data. You can use it to create reports, or to set up interactive systems that give business users the means to carry out their own analyses. Today, more domain experts with expertise in a particular industry or process are taking open source tools and building on top of them to sell their capabilities as a third-party service. “This is one piece of open source that is picking up interest and demand,” said Clay Richardson, principal industry analyst at Forrester Research. NGINX, the company focused on the widely used web server platform of the same name, announced this week that it now powers a whopping 146 million websites. That’s 52 percent more sites than the 96 million reported a year ago. It’s more evidence–along with the continuing success of Apache’s offerings–that open source projects have had an enormous impact on the web server arena, and the rise of the web itself. Another story of unmaintained and possibly unused code that ends up in the attic. Any Kerberos users out there who want it back will need to step forward and contribute one way or the other. Some code is obviously worth cleaning up, other code is destined for retirement, it seems. MediaGoblin campaign a massive succcess! What’s next? Transparency, participation, and collaboration are key components to open source but also to the open government movement. During the month of May, Opensource.com will feature stories where open source and government are transforming communities. From May 12 – 23, we’ll highlight some great people and projects in open government, open data, and civic hacking, and we’ll provide resources on how you can get involved yourself. The significant savings gained by using free and open source software in the school of the Swiss town of Villmergen are used to enhance the curriculum. Switching to free and open source has led to an increase in computers, motivating teachers to create their own courses. “Ubuntu Linux PCs are very easy to use and maintain, giving teachers more time to work with their students,” says Martin Lang, the school’s IT administrator. The move to hassle-free software has created a virtuous circle, Lang says. Since most of the educational-applications created by the school are browser-based, teachers encourage students to bring their own computers. This again increases the number of PCs per classroom, making computer-aided teaching more attractive. The Open Source Beehives project, currently raising funds via Indiegogo, is using smart tech and the power of the crowd to help tackle bees’ dwindling numbers. FSU Associate Professor Oskar Vafek along with some of his graduate students created what they call a wiki physics textbook, that allows anyone to learn all about graduate-level quantum mechanics simply by going on the Internet and looking at the online textbook. The adapter is being offered open source as a free download for personal use worldwide under a Creative Commons License. The world’s first open source laptop crosses halfway mark in crowdfunding. Plug in the keyboard and mouse of your choice, and this laptop is ready to go; perfect for use in a labs or in you workspace. You get an open circuit board, inside a case that allows for many modifications with a Full HD IPS LCD. Intel announced a fanless mini-tower “NUC” mini-PC for thin clients, equipped with a 5-Watt Atom E3815 SoC and a new custom expansion interface. The Linux-compatible Intel NUC Kit DE3815TYKHE is Intel’s first fanless member of its NUC (Next Unit of Computing) family of mini-PCs. The computer is also available as a single board computer (SBC) called the NUC Board DE3815TYBE. Google’s venture capital arm and Silicon Valley’s Kleiner Perkins have invested in a start-up run by two former National Security Agency analysts, which promises to give large companies access to some of the world’s best cyber security researchers. But even with all that, the appalling smug reaction of Netanyahu is sickening. Israel at no stage had the slightest intention of entering any meaningful peace process, stopping settlement building, or reducing the dispossession and discrimination suffered by Arabs of all sorts within Israel itself. The World’s most vicious and unrelenting theological and racist state continues to be just that. The United States was not in any sense genuinely involved in abetting a peace process; it was managing the process of genocide of the Palestinians, drawn out over decades, just conducted with enough disguise to allow the mainstream media to pretend it is not happening. Former German Chancellor Gerhard Schroeder has purchased a 1250 square meter holiday home in Crimea. Sources close to Schroeder say he intends to spend his summers in Yalta and is unconcerned about the international controversy surrounding Russia’s annexation of the territory from Ukraine last month. The overriding fact, however, is that drone warfare by the U.S. is achieving the opposite of what it was meant to do. Under the 2001 Authorisation for the Use of Military Force (AUMF), the U.S. government can engage in targeted killings, including attacks on U.S. citizens (three of whom have been killed by drones), without further warrant; even the targets, namely “associated forces” of al-Qaeda, are loosely defined. Drones — known for their stealthiness and secret operations — are becoming exposed photo by photo by one artist. James Bridle, 33, is using open-source satellite imagery to show the location of drones around the world to increase overall visibility. He consults news articles, Wikipedia pages, Google Maps, Google Earth and other publicly available satellite maps to locate the drones and snap photos. A Texas family claiming they were sickened because of pollution from hydraulic fracturing operations near their home should be awarded $2.95 million for their troubles, a jury ruled on Tuesday. The hottest book everybody is talking about, that no one has read and no can get their hands on, is a giant, data-packed tome on income inequality covering three hundred years of history by the French economist Thomas Piketty. Is there a reason he’s getting the rock star treatment? Is it the symptoms that resonate (our drift into oligarchy), or is it the cure (a progressive tax on wealth)? A few days ago the President of the United States signed into public law bill S. 2195, now known as Pub.L. 113-100. In other words, if the US government thinks that if you have been spying on the United States, then they won’t let you in the country. Gee, let’s think for a moment– who has been engaging in espionage against the United States? Anyone? Ah, right. The US government. Mr. Obama himself. The entire US intelligence network. They’ve all been engaging in espionage against the United States, especially its citizens. Pavel Durov, the founder of Russia’s top social network, fled the country on Tuesday, a day after being ousted from the company against his will. Durov announced on Monday that he was pushed out as the Vkontakte’s CEO after his refusal to share users’ personal data with Russian security services. Vkontakte was formed seven years ago, and the 29-year-old CEO first talked about his plans to leave the company on April 1 while mentioning his incapability to defend the network’s founding principles. Chancellor Angela Merkel’s spokesman is downplaying prospects of resolving tensions over U.S. surveillance when the German leader visits Washington next week — a trip during which Ukraine’s crisis and trans-Atlantic economic ties will be key issues. New York Congressman Hakeem Jeffries thinks reforming the NSA is one of the few things members of both parties can agree on – and perhaps that’s because they don’t want the intelligence agency spying on them. All too often bills are proposed and laws are passed in the United States that are in grave violation of the United States’ obligations under the International Covenant on Civil and Political Rights. And all too rarely does U.S. domestic policy get spoken about in terms of human rights laws. A case in point: the recent spate of bills responding to the unlawful mass surveillance conducted by the NSA revealed in the flood of disclosures from whistleblower Edward Snowden. Former General Michael Hayden, former head of the NSA, has a new gig writing for the conservative Washington Times. His column will be titled “Inside Intelligence,” ironically, as he no longer is. How many times have you done a double-take while in public conversation? Quickly checking that the roommate you’re complaining about isn’t walking behind you, or that your ex-boyfriend’s best friend isn’t at the next table. Google changes its security settings for Gmail last month. The extra encryption will mean that nobody can read emails that are sent over various networks, and was an answer to the controversy surrounding the National Security Agency (NSA). Brazil’s Congress passed comprehensive legislation on Internet privacy in what some have likened to a web-user’s bill of rights, after stunning revelations its own president was targeted by US cyber-snooping. Whistle-blower Edward Snowden has been using a super-secure computer operating system called Tails that comes with encryption and privacy tools to make the user completely anonymous on the internet. Facial recognition: End of anonymity for all of us? Hammond, 29, made waves last November when he defied a US federal judge’s order and told a packed New York City courtroom on the day of his sentencing that the Federal Bureau of Investigation had relied on an undercover informant to direct members of the amorphous hacking collective Anonymous to target the websites of adversarial nations. The latest releases now lend credence to Hammond’s claims that the FBI guided Anonymous into conducting cyberattacks at their behest, regardless of the sheer illegality involved. The documents — a previously unpublished statement purported to be authored by Hammond and never-before-seen court files —now corroborate the role of the feds in these proxy cyberwars of sorts. Using the internet alias “Sabu,” the turncoat — Hector Xavier Monsegur of New York — supplied Hammond with lists of vulnerable targets that were then compromised, Hammond said in his courtroom testimony on Nov. 15. Data and details were pillaged and exploited, Hammond said, and then shared with the informant and, ergo, the FBI. Naveed Shinwari is one of four American Muslims who filed suit against the government this week for placing them on the U.S. “no-fly list” in order to coerce them into becoming FBI informants. The plaintiffs say the government refuses to explain why they were named on the no-fly list. They also believe that their names continue to be listed because they would not agree to become FBI informants and spy on their local communities. “It’s very frustrating, you feel helpless,” Shinwari says. “No one will tell you how you can get off of it, how you got on it. It has a profound impact on people’s lives.” We are also joined by Shayana Kadidal, senior managing attorney at the Center for Constitutional Rights, which is seeking to remove the men from the no-fly list and establish a new legal mechanism to challenge placement on it. A Florida man and his family were returning home from a wedding and Christmas celebrations in New Jersey when they were allegedly pulled over, forced out of their vehicle and searched by several Maryland police – all because John Filippidis is licensed to carry a firearm. Under the influence by governments and corporations, the final outcome document of the NETmundial forum became a weak, toothless and disappointing text. Despite the Brazilian president’s courageous speeches, NETmundial illustrates just how farcical and pointless efforts for a “global multistakeholder Internet Governance” are. If anything, the Net should be “governed” by citizens directly, independently of these circles and without waiting for the “global consensus”. Our shared communications infrastructure must be considered a common good, politically defined as such and defended. In February of 2011, the Internet Assigned Numbers Authority (IANA) allocated its final two /8 IPv4 address blocks of address space. That event marked the end of the so called “free pool” availability of IPv4 address space available to Regional Internet Registries (RIR), but it didn’t mean that IPv4 had become unavailable. The open source software development model has proven itself time and time again over the years. Now scientists at the Open Source Seed Initiative have actually taken that model and used it to create seeds for crops for the benefit of everyone. Yes, they have created the first open source seeds to be used in providing plants for food. Elevated language for mere germination, perhaps, but that’s how a new group of researchers is talking about plant breeding. Most of the seeds used to grow our collective garden of food aren’t free—they’re patented by institutions and large seed companies, who own them and require licenses for anyone who wants to use them. The Chinese-based DVD ripping company DVDFab has asked a New York federal court to lift its domain seizures and payment processing restrictions so it can serve customers outside the United States. The company argues that the country’s DRM circumvention laws don’t apply internationally.